Piedmont Truck Tires, Inc. located in Murfreesboro, TN is a full service automotive repair, truck repair, and tire store. 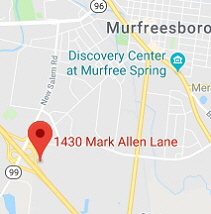 Use this form to get driving directions and a map to the Murfreesboro location. At Piedmont Automotive Center in Murfreesboro, TN we guarantee your satisfaction! Piedmont Truck Tires in Murfreesboro, TN specializes in same-day truck repairs. Protect your investment and reduce your expenses by running refurbished wheels from Piedmont Truck Tires in Murfreesboro, TN. A member of our professional sales team will be glad to visit your location near Murfreesboro, TN and review the commercials account out-of-shop services that make Piedmont Truck Tires unique.